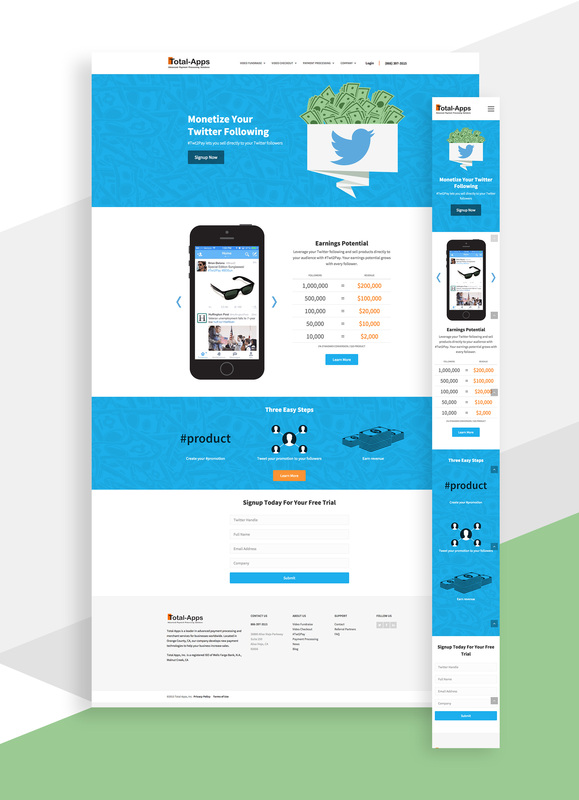 Create a landing page that targeted a specific demographic interested in financial gain through selling products using Twt2Pay. 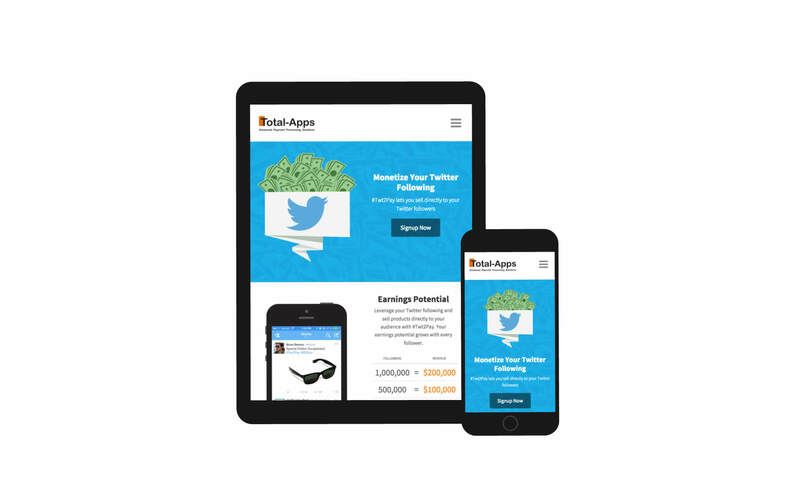 Fully responsive landing page with custom look and feel. Also created events throughout the page that triggered for determining effectiveness through Google Analytics.